Robinson St. Construction: Will It Mess Up Your Commute? Changes may be on the way for Robinson Street, a scenic road near Lake Eola that is considered by many to be an obsolete and even dangerous relic of times past. The Florida Department of Transportation and the City of Orlando have proposed a lane reduction or “road diet” to make the street friendlier to pedestrians, cyclists, and public transport. But the project also has some wondering if it’ll just make commuting a bigger hassle. FDOT and the City of Orlando’s proposed version of Robinson Street consists of two widened travel lanes, a turn lane, sidewalks that can accommodate pedestrians, protected crosswalks, and designated bike lanes. Today, we look into both sides of the argument regarding the proposed Robinson Street lane reduction project in historic Orlando. Even if the end results of the road diet are positive, many think that the disruption of construction is just too much to deal with in a city already overwhelmed by traffic, especially on a road that receives 40 percent of its traffic from cut-through commuters, according to FDOT. 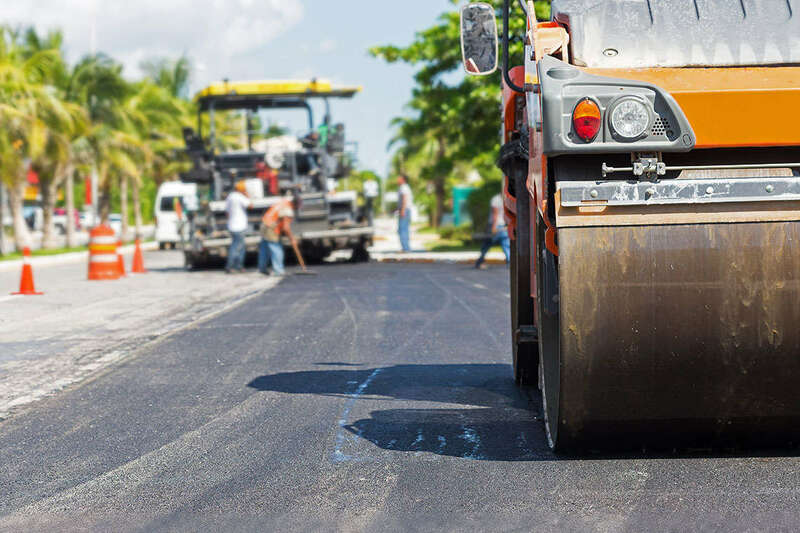 Beyond traffic disruptions, road construction generally brings with it a number of issues, including the risk posed to construction workers on the road and debris damaging cars. Orlando is certainly no stranger to this latter problem — dozens of drivers have been left with big repair bills as a result of the debris and poor road conditions created by I-4 construction. Those who commute regularly on Robinson Street worry about dealing with these type of construction conditions when driving to and from work each day. Robinson Street is not thought of as pedestrian friendly in its current state, and many locals want that to change. “We don’t have a safe way to walk across Robinson,” David Martens, neighborhood president in Lake Eola Heights, told the Orlando Sentinel. Along with the proposed additions of protected crosswalks and bike lanes, officials want to reshape Robinson Street in a way that encourages motorists to slow down and drive more carefully. Road design has a huge impact on travel speed of drivers, and the more residential a road appears, the more likely a driver will reduce their speed for the safety of others. In a study on livable communities and road diets, the AARP cites one of our city’s own previous success stories: Edgewater Drive. In 2000, a section of Edgewater Drive was put on a road diet, and the result was 34 percent fewer crashes and 68 percent fewer injuries. Walking and bicycling along the road increases as well. If done correctly, Robinson Street could perhaps see similar reductions in car accidents and injury. The biggest worry held by detractors of the proposed Robinson Street construction project is the road diet’s permanent impact on traffic in Orlando, which will only get worse as the city’s population continues to grow. The proposed plan aims to slow cars on the road and while that’s helpful for reducing accidents and their severity, it will certainly will not improve traffic flow, especially during rush hour. Others believe that Robinson Street is already overly congested from local school traffic, and that the road cannot handle any changes that make traffic flow more difficult, even if the changes look good on paper. FDOT will have to continue studying Robinson Street to see if a road diet could make traffic so bad that drivers spill over into adjacent streets, bringing danger to small residential roads. Robinson Street is not just dangerous for pedestrians and cyclists — it’s a hazard for buses as well. Bus mirrors have hit trees, vehicles, or other objects at least 33 times in the past three years, according to an FDOT report. This isn’t a fault of the bus drivers, but rather the fact that Robinson’s lanes are significantly narrower than the width of a bus. As Robinson is one of Orlando’s most busiest bus routes with 190 buses traveling Robinson each day, according to the Orlando Sentinel, this is a problem that is difficult to ignore for anyone who regularly drives on this road. Motorists are impacted by this, too. Since these buses spill over into adjacent lanes, they can slow traffic on the road and even spell danger for other drivers in the adjoining lane. The lane reduction project would create two widened lanes that can accommodate our city’s buses. Regardless of whether the proposed Robinson Street construction is the solution to this much-disliked road, Robinson Street in its current state is still considered by some to be a hazard, putting drivers, cyclists, and pedestrians at risk of accidents each and every day. Have you or someone you love been hurt in an accident due to the actions of another driver? We may be able to help. Read more to learn how our car accident attorneys can fight on your behalf to try to get the maximum compensation from your insurance company for your injuries and suffering. If you are ready to pursue a claim, fill out our free, no-risk case evaluation form today.